Today granddaughters Athina Onassis and Charlotte Casiraghi may be good friends but in the recent history of Monaco the rivalry between HSH Prince Rainier III and the shipping tycoon Aristotle Onassis was one of the most critical and hard fought battles in Monegasque history that shed no blood. 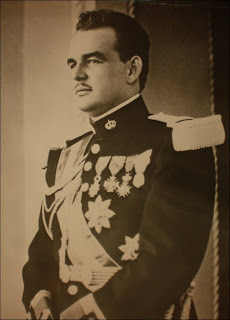 Prince Rainier III was on his way to conflict with Onassis as soon as he came to the throne upon the death of his grandfather HSH Prince Louis II and the focus would be the SBM (Société des Bains de Mer de Monaco) which controls the gaming industry and the three largest and most lavish resort hotels in the principality. During the latter years of the reign of HSH Prince Albert I (a scholarly man who found gambling distasteful) and throughout the reign of Prince Louis II (a soldier likewise little attracted to luxury vacations and the tourism industry) the business and profits of the gaming industry had declined considerably, mostly, it must be said, because of two rather traumatic incidents known as the First and Second World Wars. Aristotle Onassis sailed into Monaco on his luxury yacht Olympic Winner and saw a great opportunity before him. Onassis saw that there was a great opportunity for profit represented by the valuable real estate owned by the SBM quite apart from the casino that was long considered the primary holding of the company. Onassis envisioned Monaco becoming a lavish haven for the super-rich exclusively with new resorts catering to the rich and famous, a larger harbor capable of handling bigger yachts and luxury cruise liners and bigger and more extravagant villas. By the time Rainier III came to the throne Onassis was heavily invested in Monaco and well on his way to becoming the majority share-holder of the SBM. So it was that when Prince Rainier took up the government of Monaco he found he had a very ambitious and independent partner, in a stronger position than he was, at the SBM and the Precious Metals Society announcing they were bankrupt and this held, at the time, more than half the reserve funds of the principality. He was further hampered by the retention of several of those responsible for this disaster which was done on the advice of Jean-Charles Rey, the then love interest of his older sister HSH Princess Antoinette of Monaco. Ever since there has been talk that the bad advice was part of a concerted effort on the part of Princess Antoinette to have Rainier III deposed and her own son, Baron Christian de Massey, put on the throne in his place. Onassis also did not hesitate to give the Prince his own unsolicited advice, stressing that such a family feud was bad for business -which he certainly cared about. Prince Rainier took firm measures behind the scenes to put his sister in her place but kept up a good front in public, showing a happy and united family, so as not to alarm the public and potential investors. Nonetheless the tension and rivalry between the Prince and Onassis only increased. When the Prince married the American actress Grace Kelly, Onassis went all out for the occasion but was privately a little skeptical about the match. Apart from a temporary truce for the wedding Onassis and Rainier continued to clash over their conflicting vision for Monaco. Onassis was putting millions of dollars into the SBM, building and embellishing playgrounds for the global elites. Prince Rainier wanted to make Monaco a welcoming destination for people of all classes, not just the super-rich. Behind closed doors the Grimaldis referred to Onassis as “the Greek” and complained of how his influence was becoming pervasive. For his part, Onassis was far from respectful toward the Princely Family and angered the Prince by constantly addressing him as “Rainier” instead of “Your Serene Highness”. A comment referring to the SBM as one of his “toys” also did not go over well at the palace. Onassis did not treat the Prince with great respect and thought him rather simplistic; a sort of simpleton who had to be humored with lip-service while he ran things as he saw fit. He was afraid that the desire of the Prince to appeal to middle and working class tourists would drive away the elites Onassis wished to attract. While he was planning bigger and better country clubs, pampering centers and luxury liner accommodations Prince Rainier III was planning to build factories, low rent apartments for workers, hotels that would be in the price range of middle class tourists and less expensive entertainments. Onassis viewed these ideas as silly at best and at worst a detriment to the exclusive sort of Monaco he envisioned. The Prince turned out to be a more astute businessman and ruler than Onassis had given him credit for. 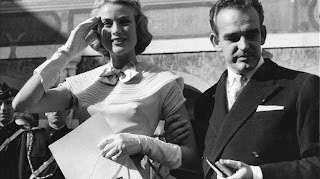 He had assumed that Princess Grace would attract Hollywood celebrities to Monaco and raise the status of the country, as he wished, as a place for the rich and famous. Onassis was right in that this did indeed happen but Princess Grace also used her celebrity to reach out to those lower down on the social ladder and she was absolutely supportive of her husband and his vision for Monaco. Finally the tensions between the Prince and the tycoon became outright opposition as Rainier III used his powers as Sovereign Prince to veto the appointments Onassis made to the board of the SBM. Prince Rainier III might have been dependent on the SBM (and thus Onassis) for the majority of his income but he was also effectively an absolute monarch and had no qualms about using his authority to ensure that he rather than Onassis ruled in the principality. 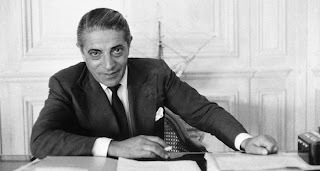 Onassis gave in to some of the plans Rainier III had but tried to finish off the struggle by stipulating that his further cooperation would depend on the Prince giving up his veto rights and management influence in the SBM. For Prince Rainier, this was out of the question and he was further pushed to his limit when Jean-Charles Rey, finally known to be in league with Princess Antoinette, began opposing him in the National Council and he was not above taking sides with Onassis to oppose the Prince. Soon, Onassis was publicly referring to himself as the “real” ruler of Monaco. When Onassis, Rey and their confederates on the Council united to oppose the Prince’s plan to build a laboratory for his friend Jacques Cousteau to advance the study of oceanography they had finally pushed Rainier III to the limit. On January 29, 1959 HSH Prince Rainier III announced to his people by radio that he would tolerate no further efforts to undermine his rights and that he was suspending the constitution. Rights of political assembly were abrogated and the National Council was dissolved. The Prince would rule in his own right, by princely edict, until constitutional reforms could be put in place. In the aftermath of this Onassis tried one last time to assert his control using the democratic reforms Prince Rainier had put in place during his brief stint as an absolute monarch. He could, he reasoned, use his influence to gain political strength but he was thwarted by a PR offensive by Prince Rainier who even made common cause with Rey who had recently become his brother-in-law by a civil marriage to Princess Antoinette. Secure in his position Prince Rainier drew up laws to break the dominance Onassis had by making new shares of the SBM to be owned by the government which would make Rainier III majority shareholder. Onassis tried to stop this bill in the courts but had no success. Seeing that his era of control of the SBM and thus his place of influence in Monaco over, Aristotle Onassis boarded his yacht Christina and departed Monaco, selling off his remaining shares in the SBM. Given his attitudes and behavior and the fact that Rainier’s plans were already leading to economic improvements, the Monegasque were not sad to see him go. Onassis felt he had been very unfairly treated of course, but one thing no one could deny was that no one would ever again view Prince Rainier III as a shallow simpleton or anything other than a very strong and shrewd monarch and businessman. In the long struggle between the Prince of Monaco and Aristotle Onassis it was the Prince who had emerged victorious. What a remarkable story, and very engagingly told! It could make a very interesting film. Thank you! It would make a good film but I think the same could be said about almost any era in Monaco/Grimaldi history. I'm a little surprised that it hasn't been done. There is more action, intrigue, romance and drama in the story of Monaco than in many countries many hundreds of times larger. There's something for everyone. I wish it was better known, though I can (and have) said the same about many other countries. Well, you are certainly contributing to making Monaco better known! Thanks again. I appreciate your compliments, and your reading. I hope I have done something to make the deeper history of the country and family more available so people will know there is more there than just gambling, glitz and glamour. Intriguing story. Guessing this was one of the few times someone got the better of Onassis.